It seems that every year a new release somehow manifests through me. I am grateful that this occurs—it’s my great hope that these sonic offerings have brought joy and evolutionary activation to those who have listened to them. I’ve had a number of requests to create a “Best Of” Jonathan Goldman, but somehow that idea has never resonated. Instead, every 12 or so years, I create an album, which features excerpts from several of my albums. The last, released around 2005, (and a Visionary Award winner) was called “Frequencies: Sounds of Healing”. I am very pleased to announce that now in 2014, in this month of June, there is a new release called: “Healing Sounds: Frequencies II” which features twelve different excerpts from albums since the first “Frequencies” album. There are always two interesting challenges regarding the creation of such albums. First and foremost is: what selection from an album should I use. Admittedly, some albums are certainly one long recording, but even these are not created from “loops” (which means that a small section is basically repeated for a much longer time, but this is not the case with my recordings). All of my albums have shifts and changes in them—progressions of vibration, if you like, so that even ones such as “Cosmic Hum” or “Ecstatic Sonics” are completely different throughout. Thus, which particular portion I should use for a five or a six-minute section is always thought and ear provoking. In addition (and perhaps, more importantly) is the question of what order the different selections should go in. This order is called the “sequencing” of sounds and it has undoubtedly been of paramount importance ever since the ability of putting two or more songs together first manifested. What song goes after (or before) another can prove quite interesting to determine. A mathematical friend of mine told me that with 12 different selections, the number of possible different sequences that could manifest would be 132. In truth, I knew the possible order of the different selections would be quite large, but I had no idea at the magnitude of possibilities that existed. I give thanks that whatever guides, entities or energies that work with me, graciously guided me to nail the order the first time I tried it. I know this because after the first sequence was created, I tried several others, experiencing them in different settings such as massage or meditation and they just did not work as well. This was also the case with the first sequencing of the first “Frequencies” album back in 2005. Someday, I will learn to completely trust my first instinct, but I guess it’s important for me to experiment with the song orders to realize that my initial instinct (guidance or whatever) is usually correct. In particular with “Healing Sounds: Frequencies II”, which features excerpts from: “The Divine Name: I AM”, “Crystal Bowls Chakra Chants”, “Merkaba of Sound”, “Cosmic Hum”, “Reiki Chants”, “Ascension Harmonics,” “Chakra/ Brainwave Harmonizer”, “Waves of Light” and many more, I realized that each of these recordings presented a different sonic code for Health, Higher Consciousness and Vibrational Activation. 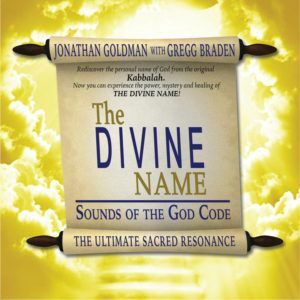 When this revelation came to me, I was indeed grateful that whomever (or whatever) helped guide me in the choice and sequencing of the selections on this recording was more aware than me of the power of “Healing Sounds: Frequencies II”. This new CD features newly re-mastered excerpts and mixes from the last decade of my recordings. The order of the tracks is sequenced in a specific way that will shift and change you, bringing your body, mind, and spirit to new levels of transcendence and healing. In addition, there is a completely re-mixed excerpt (ultimately, a new release) of “Heart of Compassion” from “ChakraDance”. 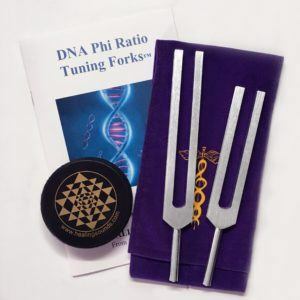 Because of the power of all the previous selections on “Healing Sounds: Frequencies II”, I was guided to end with a recording that was gentle and beautiful, and that would assist in bringing listeners back into their bodies and grounding them. This recording does not have any of the techno-drumming that contributes to the danceability of the original but features some very heart opening sounds—some that you’ll have to hear in order to believe. 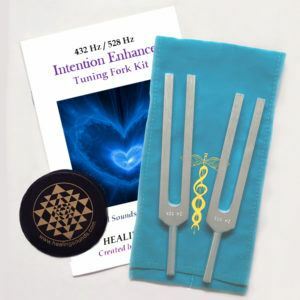 “Healing Sounds: Frequencies II” is perfect for Meditation, Energy work, Body Work, and Relaxation! It includes a bonus booklet on the creation and use of this extraordinary recording. It’ll be available at various online stores as a CD or a digital download, but as always, you can order it through us here at healingsounds.com (where the digital downloads are always the highest fidelity mp3s that are available) and where we are so grateful for your support.